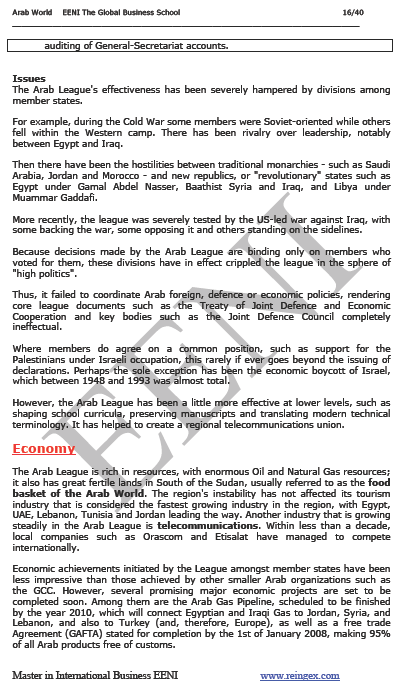 Syllabus of the Online Course (Subject): Arab League. Middle East and North Africa (MENA). Learning materials in or Liga Árabe Ligue Arabe. 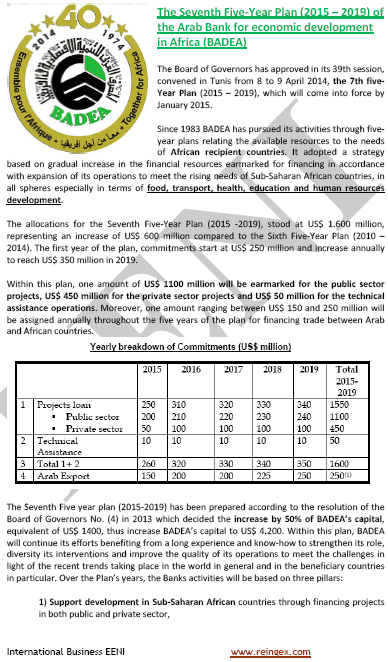 The Arab League, or the League of Arab States, is a regional organisation of the Arab States in the MENA region (Middle East and North Africa). The League of Arab States was formed in 1945 in Cairo (Egypt) with six members: Egypt, Iraq, Jordan, Lebanon, Saudi Arabia, and Syria. Yemen joined the League of Arab States in 1945. Saudi Arabia is the largest economy in the Arab world. 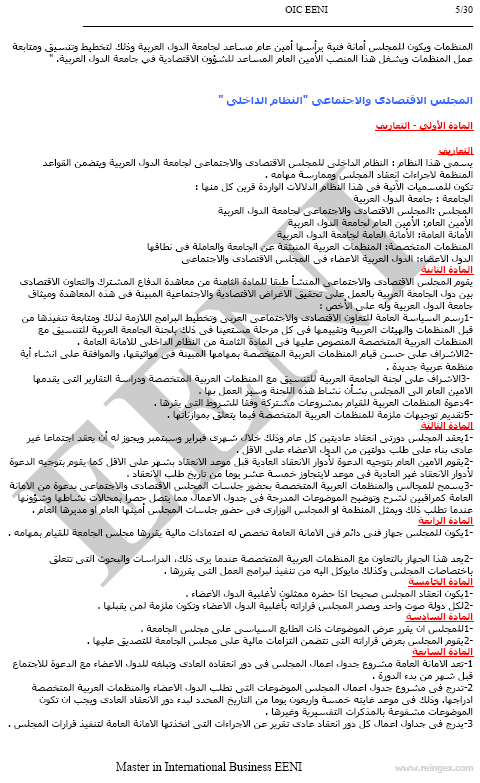 The Arab people use Arabic language. Farsi, the language of Iran, and Urdu, the language of Pakistan and some parts of India, are written in Arabic script. The influence of Arabic language has been most important in Islamic Countries. Arabic influence on other languages: Sindhi, Punjabi, Gujarati, Berber, Kurdish, Pashto, Persian, Swahili, Urdu, Hindustani, Turkish, Cypriot Greek, Malay, Rohingya, Bengali, Tagalog (the Philippines) or Indonesian. North African Countries: Algeria, Egypt, Libya, Morocco, and Tunisia. The MENA region (Middle East and North Africa) has huge petroleum and natural gas reserves that make it an essential source of global economic stability. 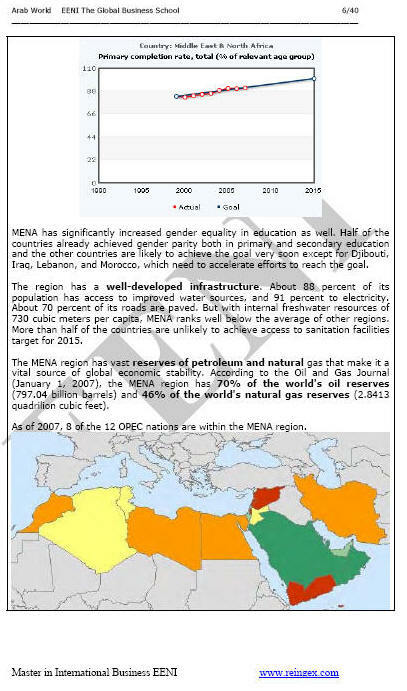 The MENA region has 70% petroleum reserve and 46% of natural gas reserves in the World.